Here I put a few videos that are related to my talk and poster contribution at the Multiscale Mechanochemistry and Mechanobiology 2017 conference in Berlin. 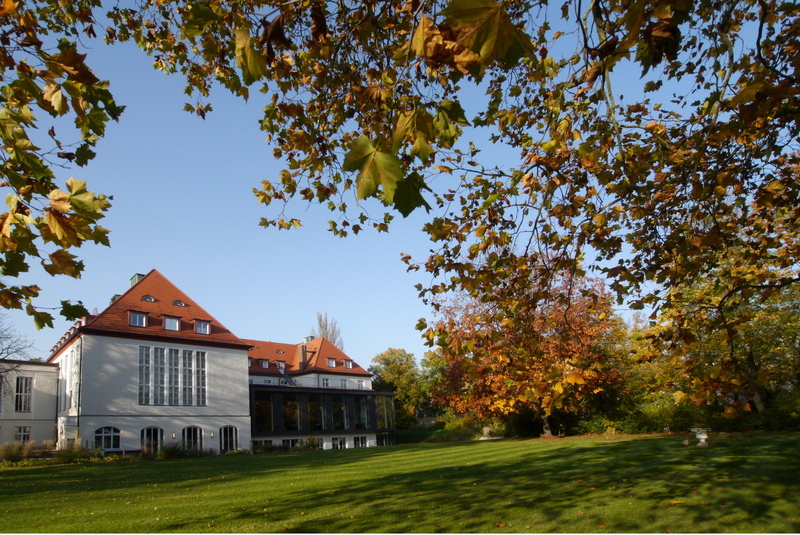 The conference takes place in the Harnack Haus, which I find, already after a couple of minutes of being here, an absolutely amazing place to meet. In the simulations, a stable peptide fold is formed that persists over entire simulation (up to 12 microseconds). The CCA end of the tRNA is in white, the peptide in yellow and red, methionine (darker blue) is labeled by the BOF dye (lighter blue). The video shows the dynamics of a poly-glycine peptide (in blue) in the ribosome exit tunnel. A constant pulling force is applied to the N-terminus of the peptide to facilitate its passage through the tunnel. A spherical cutout of the ribosome was simulated in Gromacs using facilities in the Leibniz Rechnenzentrum in Munich, Germany. There still remain many catches, but we do steps one by one to solve them. I'll be happy to hear your opinion. Feel free to drop me a line to .